Yesterday, the FCC handed over to T-Mobile licenses to cover the 31MHz of 600MHz spectrum that it won at the FCC's auction of low frequency airwaves. Unlike high-frequency airwaves, these travel farther and penetrate buildings better. By year's end, the nation's third largest carrier will own more than 1-million square miles of 600MHz spectrum. T-Mobile already has 700MHz low-frequency spectrum that it employs for its Extended Range LTE service. New handsets from Samsung and other phone manufacturers will be available around the end of the year, allowing T-Mobile customers to take advantage of the features found with low-band spectrum. And while the auction allowed T-Mobile to quadruple its holdings of the low-frequency stuff, Sprint has been hoarding inventory of the high band 2.5GHz airwaves, which is one reason why many analysts call a T-Mobile purchase of Sprint the best possible M&A combination in the business. 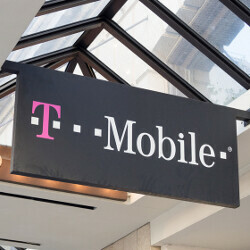 In addition to using the 600MHz spectrum to enhance and improve its LTE pipeline, T-Mobile also will be using some of this spectrum to build out the planned nationwide 5G network it talked about early last month. I'm eagerly waiting for 5G. Hope it arrives by 2020 atleast. Till then, everyone should be striving to perfect 4G LTE.